My children have sensitive skin, so I am particular about the soap I use on their clothes. I use “SoapNuts” on their clothes, but when it comes to my husband’s gym gear I need something a little stronger. The “Tide PODS Laundry Detergent with Febreze, Botanical Rain” is a welcome addition to our laundry routine. The “Tide PODS Laundry Detergent with Febreze, Botanical Rain” are laundry packets, that work in both high efficiency and standard washers. 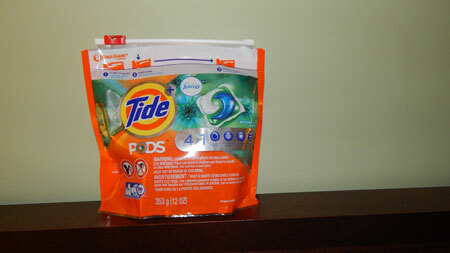 The PODS help take the “work” out of doing laundry, by providing 4 features in one tiny POD Detergent, Stain Remover, Brightener and Downy Fabric Protect. The “SoapNuts” are fighting a losing battle when it comes to cleaning my husband’s gym gear. So for this load, we tried the “Tide PODS Laundry Detergent with Febreze, Botanical Rain” to see if they were up for the challenge. The PODS are easy to use, no measuring of detergent required. I love that they eliminate the need for me to lift heavy detergent bottles. I do wish I was able to control the amount of detergent for smaller loads. We used a single POD and did a “Quick Wash”. The end result was a load of fresh smelling gym gear. We did find that the smell was a bit overpowering and next time we will use the POD in a larger load on a longer setting. The “Tide PODS Laundry Detergent with Febreze, Botanical Rain” package has been designed with your child’s safety in mind. 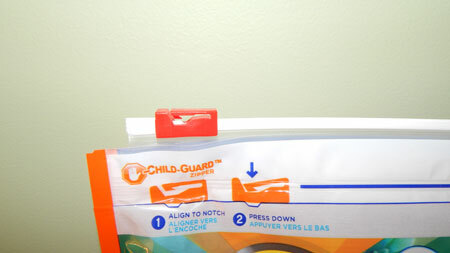 It has a Child-Guard Zipper, that requires you to push down on the “lock” in order to open the package. It’s not fool-proof, so it is still recommended that you keep them out of reach of small children. 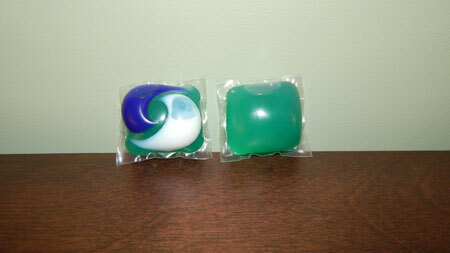 The Tide PODS add an element of convenience to doing laundry. The PODS are certainly easier to use than my “SoapNuts”, they require that I find the bag in the tub for the next use and traditional laundry soap requires me to lift heavy bottle and measure out the soap. We are happy to continue using the “Tide PODS Laundry Detergent with Febreze, Botanical Rain” on my husband’s gym gear. It leaves his clothes smell fresh and ready for his next workout. *Disclosure: I received a complimentary pack of “Tide PODS Laundry Detergent with Febreze, Botanical Rain” through the Amazon Vine Program in exchange for my review. All opinions are 100% my own.